A screw is jammed and cannot be unscrewed? A thread is blocked? A chain must be lubricated? You want to be done with squealing hinges in no time? The Multi-oil from Caramba can help you deal with these issues quickly and easily. The multifunctional spray-oil can be sprayed on the affected spots quickly and purposefully and loosens rusty nuts and screws, ensures perfect function of moving components thanks to its lubricating effect and prevents creaking and squeaking noises. Even electronic accessories benefit from a multi-oil treatment because these components remain functional for a longer time thanks to the oil. 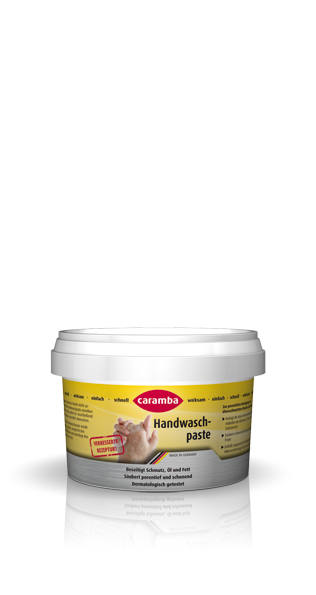 Caramba’s multi-oil is available in the sizes 100 ml and 300 ml. Spray multi-oil thinly on the affected area. After allowing to flash off for a short time, you can carefully loosen rusty screws and components. For heavily rusted connections, we recommend to spray the oil a second time so as to intensify the effect.